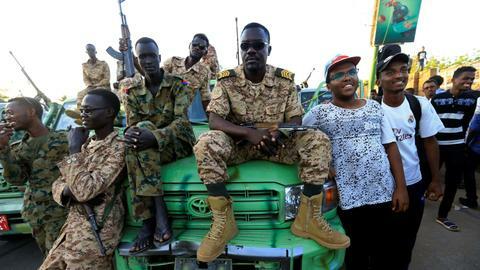 Sudanese activists said on Saturday that 16 people, including a soldier, have been killed in the two days since the military forced President Omar al Bashir from power amid months of anti-government protests. Sudanese police said late on Friday that the 16 were killed by "stray bullets," and that at least 20 people were wounded at rallies and sit-ins across the country. Bashir is wanted by the International Criminal Court on charges of genocide linked to the war in Sudan's Darfur region in the 2000s. TRT World spoke to journalist Abdi Osman Adan in Nairobi for more. Gen. Abdel Fattah al Burhan was sworn in on Friday as head of a transitional council formed by the military, which says it will rule the country for up to two years until elections. Burhan, who previously served as the general inspector of the armed forces, vowed on Saturday to bring officials responsible for graft and death of civilians to accountability. 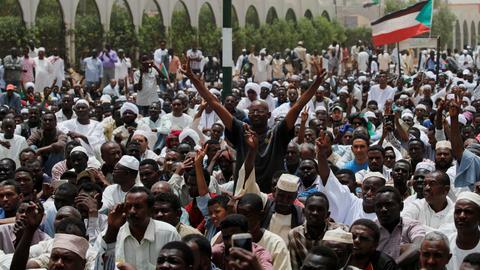 Earlier, he had met with the protesters in the streets after Bashir's ouster and listened to their demands. Leaders of Sudanese opposition parties also met with the protesters and with the new military leader in Khartoum. Speaking to reporters afterwards, the opposition asked for an overhaul of the judiciary and security agencies and all elements of the previous regime to be removed. Burhan replaced Gen. Awad Ibn Auf, the defense minister who had announced Bashir's ouster. Ibn Auf stepped down as transitional leader amid a public outcry, with the protesters saying he was too close to the ousted leader. Ibn Auf was head of military intelligence during the brutal campaign to suppress the Darfur insurgency. The United States has imposed sanctions on him since 2007, saying he armed and directed pro-government militias known as the Janjaweed, accused of widespread atrocities during the conflict. Once a member of the president's inner circle, Gosh was sacked as an adviser in April 2011 for criticising the government. He was arrested the following year on suspicion of involvement in a coup attempt, but was later pardoned by Bashir, who appointed him intelligence chief in February 2018. Sudan's protests began in December, sparked by price hikes and shortages, but quickly escalated into an uprising, inspired by the so-called Arab Spring, against Bashir who seized power in a 1989 military coup. "We will never leave the place. We will shout together. We will shout to our freedom, to our liberty," protester Rami Mustafa said on Saturday. Security forces loyal to Bashir responded to the protests with a violent crackdown, killing dozens of protesters. They attacked the sit-in on several occasions, up until Bashir's resignation, and clashed with soldiers who intervened to protect the protesters.